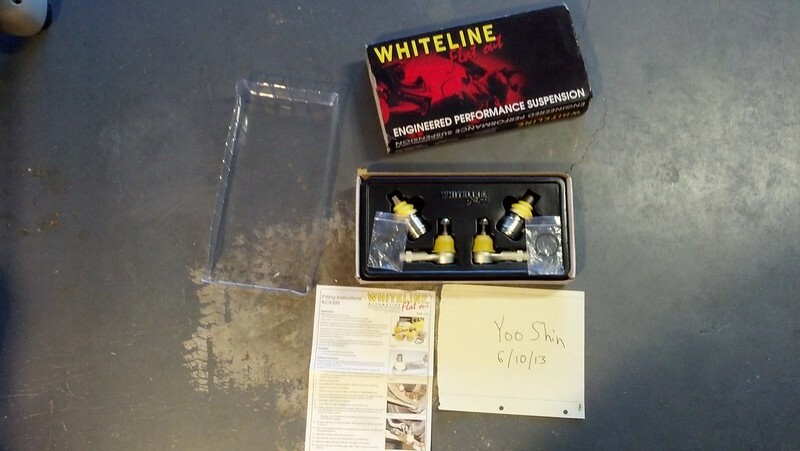 Selling a Whiteline Roll Center Kit (RCK) that's NIB. Got it a while back, never even took it out of the box, and now decided to go back to my stock suspension, so I don't need this. It'll fit Evo the 10, 9 and 8. EDIT: Just realized that the picture didn't post. PM me for a picture until I can get it posted properly. Last edited by Yoo Shin; June 11th at 09:08 AM. Last edited by Yoo Shin; June 11th at 09:12 AM. Bump for a good product. Does what it's supposed to do. GLWS.